Broadstone was originally an area of heathland with a few scattered cottages and the name was probably derived from a number of large stones that were placed in a local stream to enable people to cross! A Roman road from Hamworthy forms the border between Broadstone and Corfe Mullen. 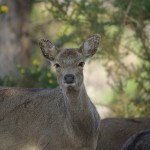 The heathland which surrounded Broadstone has been gradually reduced by development, especially in neighbouring Corfe Mullen and Canford Heath, but the large Golf course, along with several areas of woodland, does give some respite. Broadstone is a suburb of Poole and with slopes overlooking Poole Harbour and the Purbeck Hills it has encouraged the building of larger properties there well before the last war, and since 1946, large building estates have grown up which have maintained Broadstone as a residential area. As natural habitats have decreased in size, so animals have learned to adapt and in most cases thrive. Mice and Rats are always attracted to built up areas as there is always a plentiful supply of both food and lodging. Wasps will always take advantage of any garden insect pests for food and of course any fruit trees late in the season and can quickly become a serious threat to man and in most cases some form of Wasp control or Wasp removal will be needed. 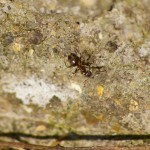 Ants will also thrive especially under decking or patio areas where the soil is likely to be lighter. Moles and Rabbits will be attracted to any lush lawns close to woodland or heathland, the moles to tunnel and feed on worms etc. and the rabbits to enjoy not only the grass but shrubs as well. A lack of trees will not discourage squirrels, especially if there is food readily available on plants or in bird feeders, and they too will very quickly find a home in any vulnerable property nearby. With all this activity Foxes will no doubt be attracted and with the ability to adapt, they will quite happily set up home in any suitable locations. 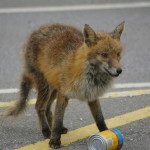 The fox in particular being an expert in living close to man. Along with all this activity, fleas, that are carried by wild animals, may come into contact with domestic pets causing all the associated problems.